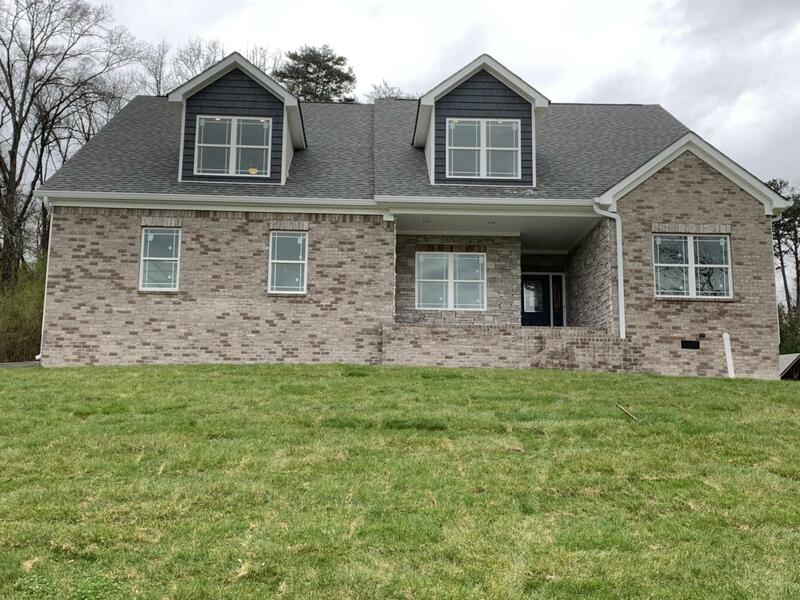 Welcome to 704 Soaring Eagle Circle, a new construction home in a newer Chattanooga community on 1.43 acres! You are within 15 minutes to Downtown Chattanooga/North Shore AND Hamilton Place, yet right around the corner from Target, Earth Fare, the Greenway, and more! Beautiful brick, stone, and easy maintenance siding make this home stand out, and the curb appeal will have you ready to invite all your friends & family over! Walk into a beautiful great room with gleaming, hardwood floors, coffered ceiling, gas log fireplace, and open plan ~ perfect for entertaining! In the kitchen, you'll love the continued hardwood floors, granite counters, and stainless steel appliances ready for all your cooking creations!Relax your cares away in the main level master en suite, featuring an over-sized soaker tub, separate walk-in shower, and large his & her closet! This split bedroom plan offers two additional bedrooms and a guest bath on the main level as well as access out to the good sized back deck and yard! Upstairs, you'll appreciate two large bedrooms and second den/bonus room ~ plenty of room for all the family! Get more for your money with close proximity to all that Chattanooga has to offer! This home will be completed just in time to for spring & summer festivities! Welcome to 704 Soaring Eagle Circle, and WELCOME HOME! Listing courtesy of Re/Max Renaissance Realtors. © 2019 Chattanooga Association of REALTORS®. INFORMATION DEEMED RELIABLE BUT NOT GUARANTEED. The site does not contain all listings available through the MLS. The Robinson Team KW Downtown. Each KW office is independently owned & operated does not display the entire MLS of Chattanooga, Inc. database on this website. The listings of some real estate brokerage firms have been excluded. IDX information is provided exclusively for consumers' personal, non-commercial use and may not be used for any purpose other than to identify prospective properties consumers may be interested in purchasing. Data is deemed reliable but is not guaranteed accurate by the MLS or The Robinson Team KW Downtown. Each KW office is independently owned & operated. This site was last updated on 2019-04-21T00:08:49.077.